Last week we reported on our Aggie Olympian, Brita Sigourney, who is scheduled to compete next week in her second consecutive Winter Games. We have since learned of another Aggie alumna, Aliyah Cohen, who not only has a connection to the Games — but to Sigourney herself! Cohen graduated in 2015 as a design major, with textile science as a minor, all the while being active with Campus Recreation and Unions’ Outdoor Adventures, as a winter guide, and whitewater, backpacking and sea kayaking guide, and whitewater guide instructor. With her adventurous nature and fashion and design skills, you shouldn’t be surprised that she landed a job with The North Face, maker of outdoor adventure equipment and apparel. She joined the company about a year and a half ago, hired as a contract designer to assist in the making of the competition uniforms for one of our U.S. teams. Guess which one? U.S. freeskiing — Sigourney’s team! Sigourney hopes her next celebration is in Pyeongchang, where qualification runs in her event, halfpipe, are scheduled to begin at 5 p.m. PST Monday, Feb. 19, and final runs at 5:30 p.m. PST Tuesday, Feb. 20. She arrived at the Pyeongchang Games last weekend by way of Japan, where she and other members of the freeski team decided to get in some practice at the Aomori Spring Ski Resort. She placed sixth in 2014’s Sochi Games, where freeskiing made its Olympic debut. Six years before that she was a first-year student at UC Davis, an Aggie like her parents, Thad and Julie, both ’76, and brother Brendan ’09. Brita would leave school early, in 2011, to join the newly established U.S. freeskiing team. See last week’s Dateline article, about the good season Sigourney is having. As Sigourney left school to pursue her dream, Cohen was starting her Aggie education that would lead her to The North Face. The company had designed the U.S. freeskiing team’s uniforms for the Sochi Games, and now was doing it again for Pyeongchang. “When I started ... the bulk of the creative concepting for the uniform project and the initial sketches were complete,” Cohen said. “But, there is a lot that needs to happen between this stage and ultimate product creation. My job was to help with that process. At the unveiling in New York: U.S. freeskiers, from left, Aaron Blunck, Maddie Bowman and Devin Logan. Indeed, the uniforms have a lot of pieces — more than 60, so each athlete can customize his or her look. All of this lends to the uniforms’ reflecting “the unique, personal style that is endemic to the culture of freeskiing,” according to a news release from The North Face. She is still with The North Face, in Alameda, working on the company’s Baselayer line of fitness wear. So, “I’m a skier now!” — and a surfer and a mountain biker and a climber. “If it’s outside, I’ll enjoy it,” she said. 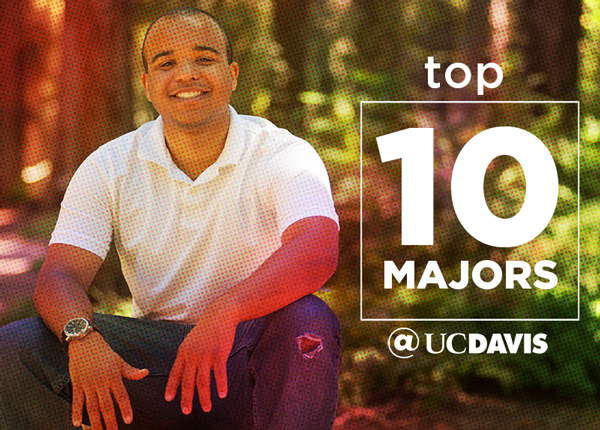 As editor of Dateline UC Davis, Dave Jones oversees internal news for the campus.